With Apple’s iPhone 4S push encompassing North America, large parts of Europe and many Asian countries, the company has yet to announce when its new smartphone will be available in China, a country that the Cupertino-based company sees as its most significant growth market. 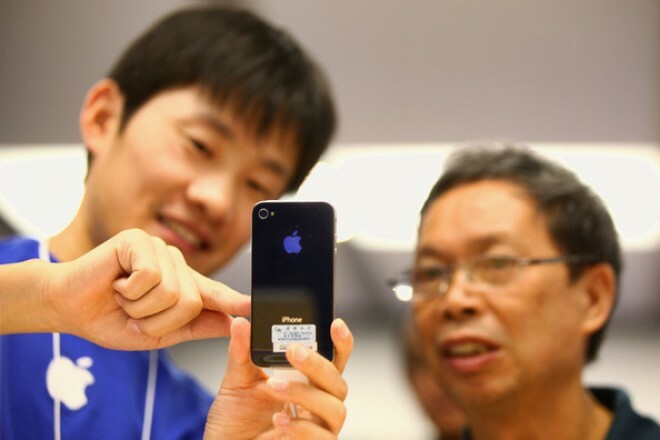 Reports coming out of the country (translated) this morning suggest that whilst the iPhone 4S is still pending regulatory approval for its use on Chinese networks, the device’s debut is expected to be preceded by the launch of Apple’s 8GB iPhone 4, with a full launch of the 4S following before the end of the year. The news comes from Lu Yimin, General Manager of China Unicom, who has said that the operator will fight to release the device as soon as possible. According to sources close to the company, Apple has discontinued the 16GB and 32GB iPhone 4 for the operator and the carrier has begun stepping up its efforts to introduce the 8GB iPhone 4 later this month. Currently, the iPhone 4S is available in Hong Kong and Singapore, which have both seen huge demand for the device with many believing that Chinese importers are securing large numbers of handsets to sell on the Black Market. Officials from China Unicom travelled to Cupertino to negotiate terms with Apple and were reported to have reached a final agreement but no formal launch date has been offered. With the device needing regulatory approval, a definitive launch date may rest in the hands of the Chinese government, not Apple or China Unicom. Apple is said to be actively recruiting a government relations consultant, who will be responsible for coordinating regulatory processes and communicating with different government departments, working to ensure Apple products receive the necessary 3G certificate and networks licenses. Once approved, Apple can push ahead with it focus on the Chinese market.